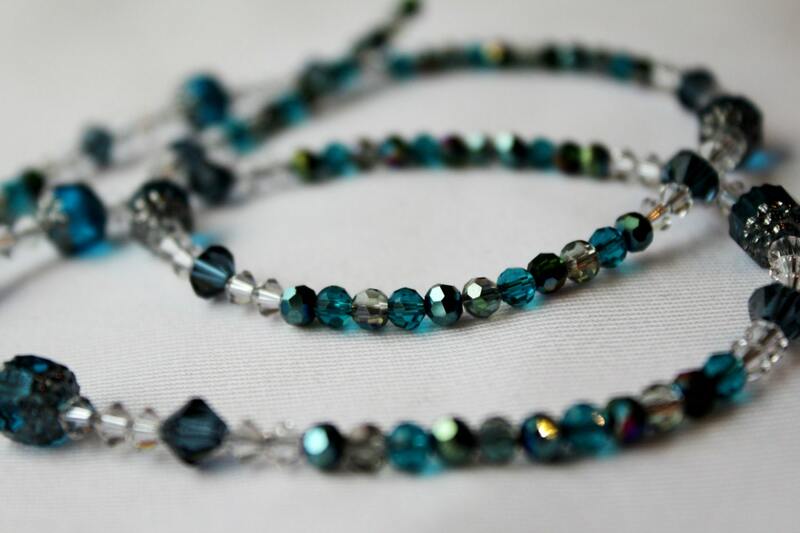 Shades of ocean blue and sparkling crystal make up this wonderful eyeglass chain. It sparkles and glistens, just like the sun shines down on the ocean water. 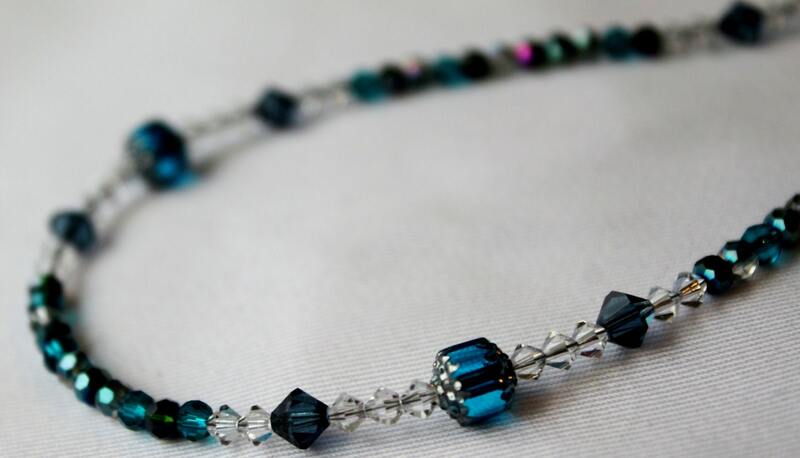 This chain is cool and natural and surely an eye catcher. 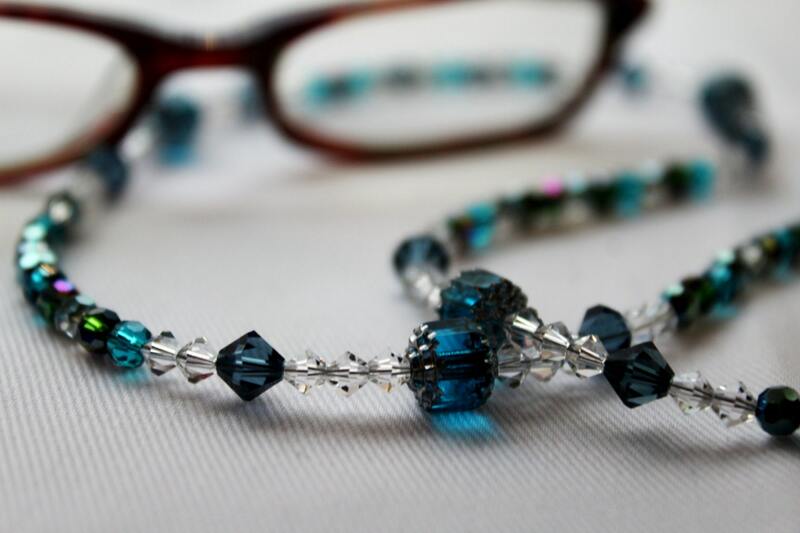 The beads in this eyeglass holder are a combination of genuine Austrian Crystals and glass beads. Its total length is approximately 30 inches long. Just lovely. 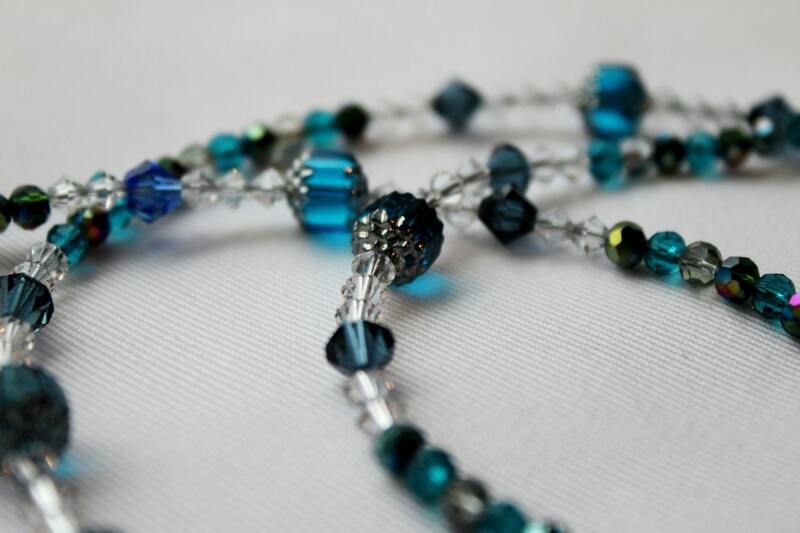 The glass beads are beautiful. Everything sparkles! My favorite one is this one! The silver circle eyeglass loop is perfect! Great work and would recommended this seller!